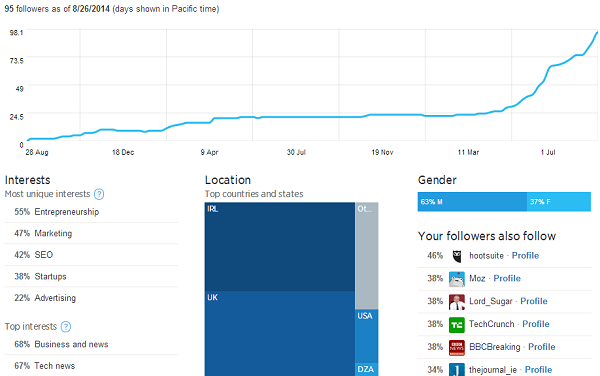 Twitter Analytics now available to everyone! For advertisers and website owners who’ve integrated twitter cards, these analytics have been available for a while but it’s nice to see it finally available to all. So, what can you actually find out? – Engagements (the number of times a user has interacted with the tweet. This could be favouriting or retweeting but it could even be clicking on your avatar or expanding the tweet). – If you click on an individual tweet, you can also see a detailed breakdown of Impressions, Embedded Media Clicks, Detail Expands, Link Clicks, Retweets, User Profile Clicks, Replies and Favourites for that specific tweet. – There’s also graphs showing how your Impressions, Engagement Rate, Link Clicks, Retweets, Favourites and Replies have performed over the last 28 days. So it’s pretty detailed stuff. If you’re looking at it for your personal account, it’s interesting (especially for data geeks like us) but probably not all that useful, however, if you’re a business, it opens up a wealth of useful information which can help inform your social media strategy. What can Twitter Analytics help Business owners understand? – Which tweets perform best for you? Do photos consistently have a higher engagement rate? Do links to news stories create more discussion? Now you can find out exactly what works for you and what doesn’t. – What are your followers top interests? Do you regularly tweet about these things? These topics should help you shape the content of your future social media updates. – Where are your followers based? Do you have a particularly large following in a particular city? Maybe you can tweet more regional content which will appeal to them or maybe you need to increase your offline marketing in that area to take advantage of your popularity there. – Are there any spikes or dips in your follower trend graph? If you had a large spike in followers, what did you do around then that worked really well? Try and replicate it. If you had a big drop-off at some point, what did you do that people didn’t like? Learn from it and don’t do it again. These are just a few ways businesses can look at their Twitter Analytics and consider what it means for them. 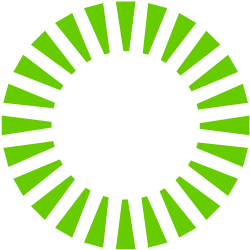 Don’t forget to follow @GlowMetrics on Twitter – we’ll be keeping an eye on our Analytics, so make sure you do!